The rapid advance of technology has enriched the offer of flooring materials. Homeowners and business owners can choose from many different flooring materials. Even the selection of the specific no-wax materials is greater than ever before. One of the most popular no-wax materials for floors is polished concrete. The good news is that we can grind almost any concrete floor surface in order to polish the floor and help it get the specific appearance and properties. It doesn’t really matter whether your floor is brand new or old, Ultra Clean Floor Care is here to turn your simple concrete flooring into an attractive flooring that won’t need coatings or waxes ever again. 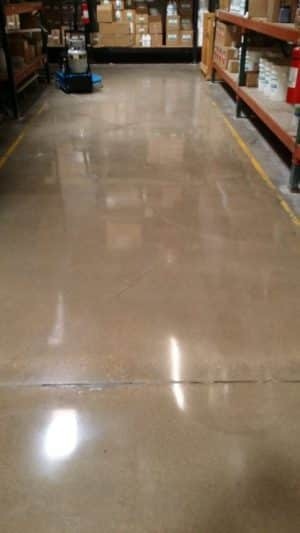 To be honest, polished concrete has excellent properties like durability and strength which is why so many offices, warehouses, retails, business premises in general and some residential properties choose exactly this type of flooring instead of the standard granite, marble, linoleum, tile or coated concrete. A huge number of homeowners are attracted by the attractiveness of this gentle, smooth, elegant and shiny type of floor. In addition, this floor can be stained and dyed in order to get the appearance of any polished stone. 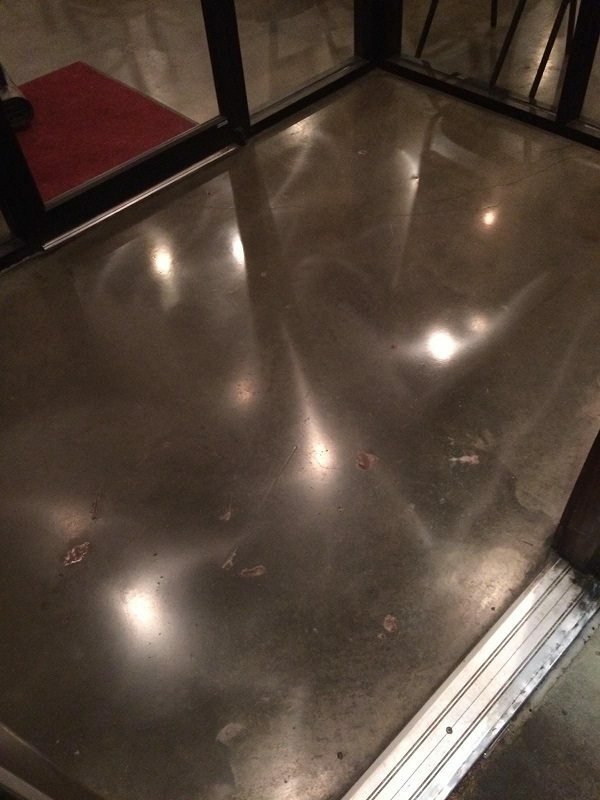 Concrete polishing is a process that includes several stages and it is up to you to select the sheen level. You can get satin look or even extreme-gloss look if you want. It all depends on your desires. The wide range of modifications make polished concrete the perfect material that can be used in different places. Keep in mind that polishing concrete floors is a process that cannot be performed by any service provider. This process is serious and demands great knowledge, experience and skills as well as the utilization of high-quality machines and equipment. This is exactly what Ultra Clean Floor Care has in its offer. So, if you are looking for true professionals for concrete polishing, you can count on us. Don’t hesitate to call us at any time and ask for a quote!